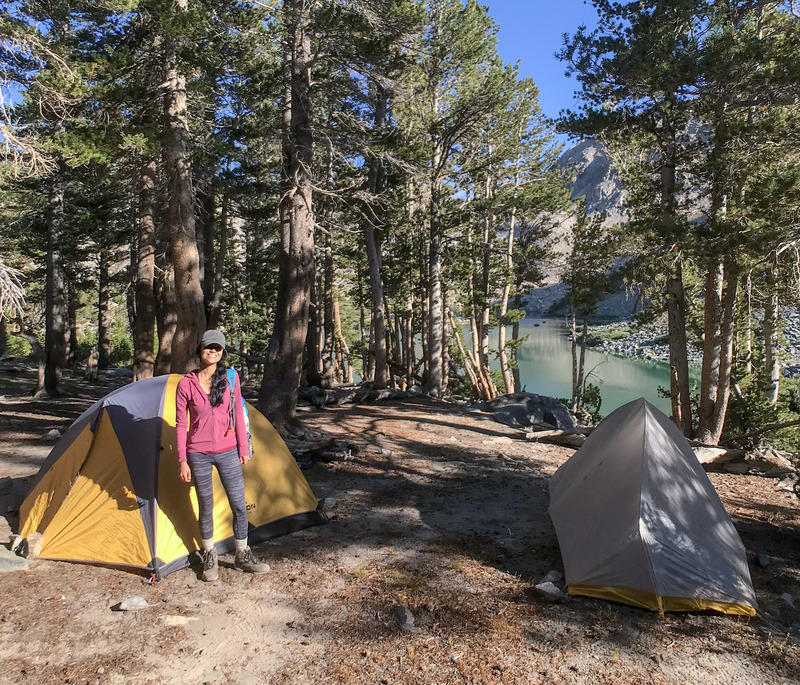 Permits: Wilderness permit required for overnight stay. 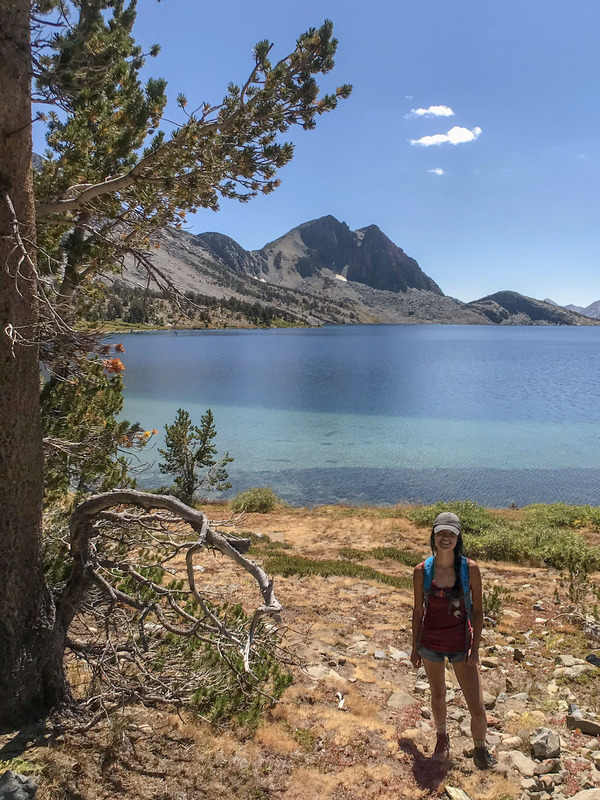 Duck Lake Trail in the John Muir Wilderness is a popular trail that consists of alpine lakes, mountain views, wildflowers and a decent climb for a day hike or even an overnight backpacking trip. 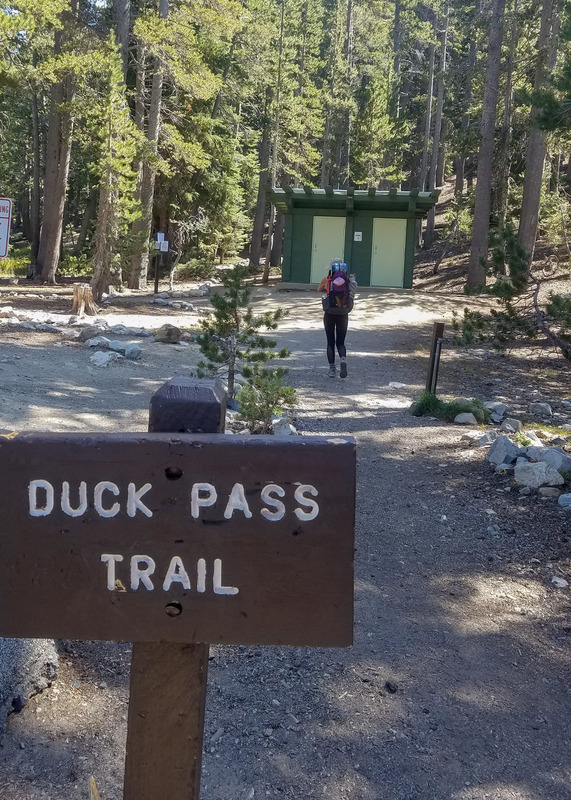 A little less than 10 miles round-trip, this trail passes three alpine lakes before climbing Duck Pass to Duck Lake. During a very busy holiday weekend, we arrived a little later than expected to the visitor center to pick up our permits. Which only meant that we would arrive to a very crowded parking lot at the trail-head. 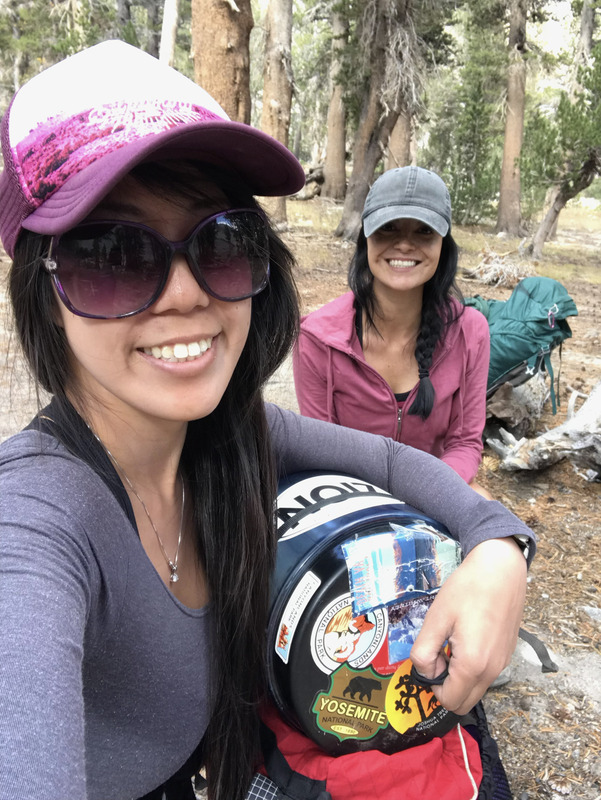 After driving in circles for about half and hour, we scored a decent spot and geared up for the trek in. 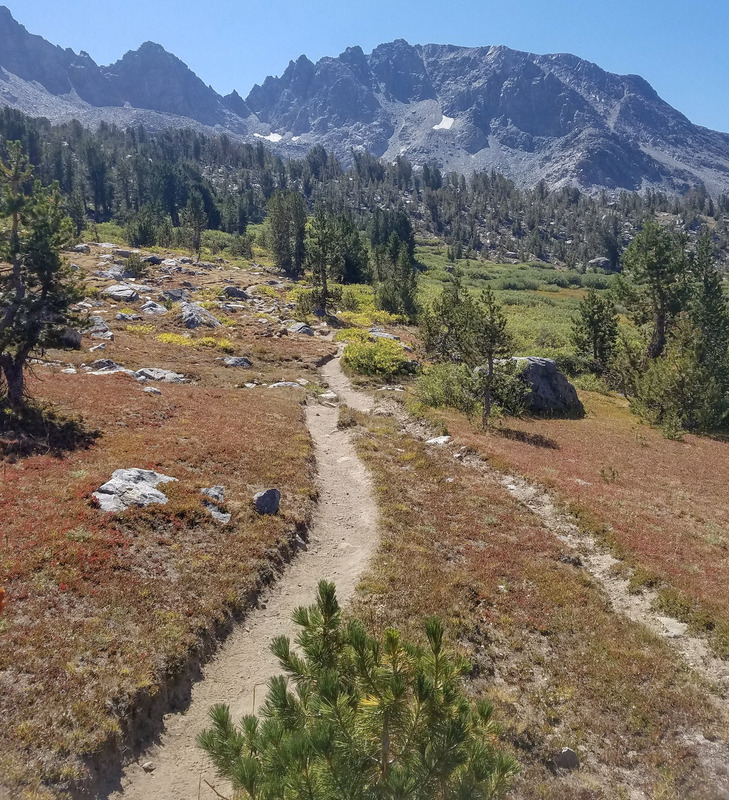 The trail-head begins just outside of Coldwater Campground, so you could only imagine the foot traffic that this trail gets for day hikers wanting to explore the area. The trail is clearly marked and well maintained. 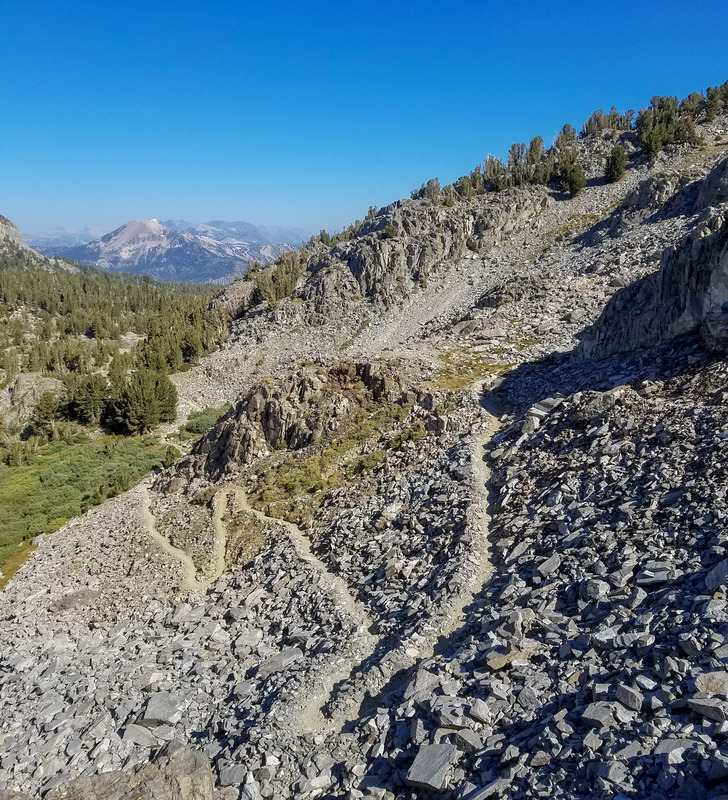 Switchbacks with a steady climb and at 1 mile, you will reach a detour to Arrowhead Lake. 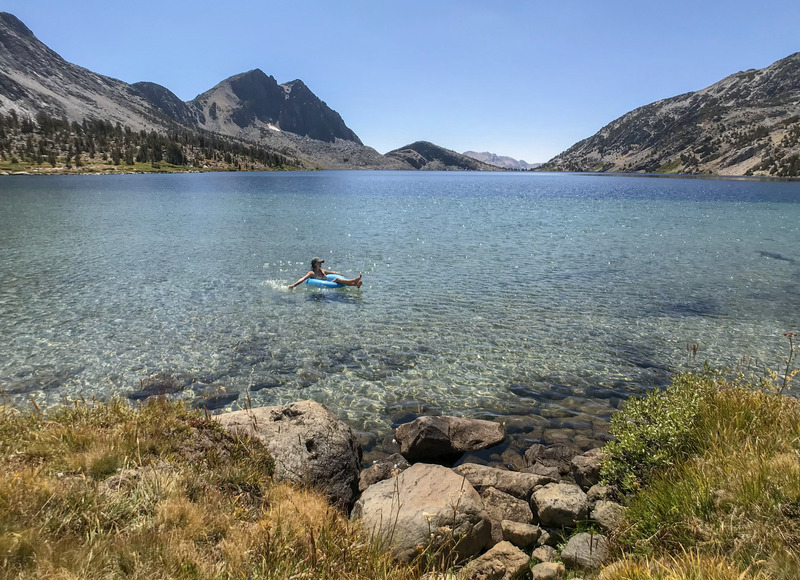 This is the first of three lakes before climbing Duck Pass. At 1.5 miles, we reached a detour to Skeleton Lake. 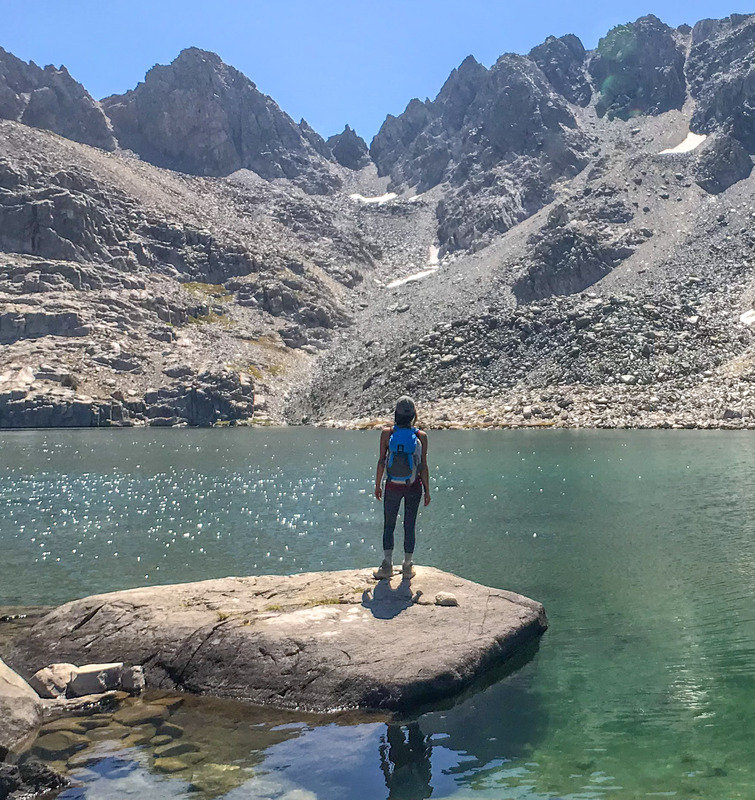 We decided to skip this lake on the hike in and check back on the hike out. 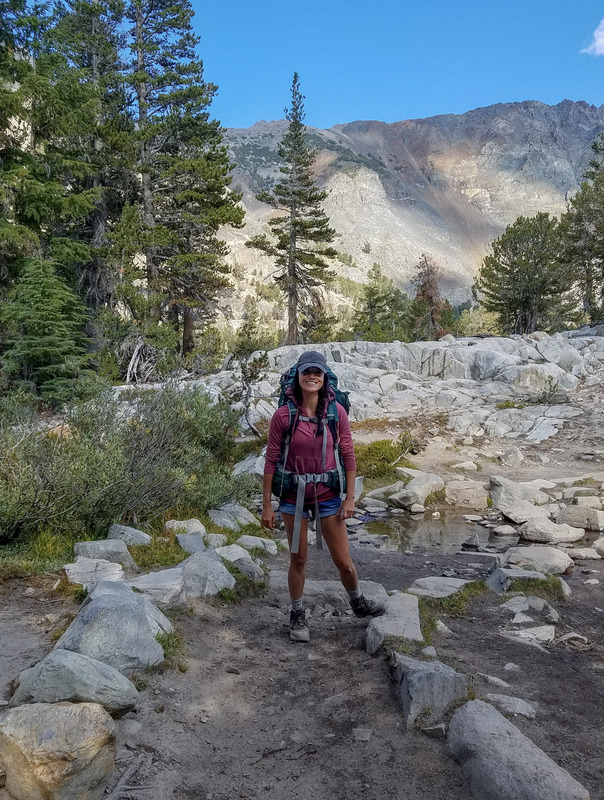 As the hike continued, so did the climb and after many long switchbacks and 2.5 miles from the trail-head, we reached our destination for the night, Barney Lake. Original plans were to climb Duck Pass that same day, however- we started the trail a little later than planned and decided we would set up camp at Barney Lake and climb the pass the next day to Duck and Pika Lake. The next day, we planned to get an early start to climb Duck Pass. 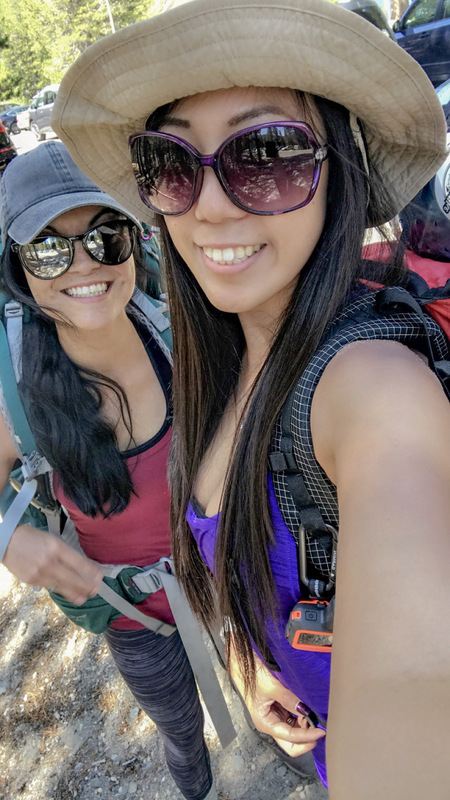 We prepared day packs complete with snacks, water, bikinis and a floatie and set off to Duck Lake. 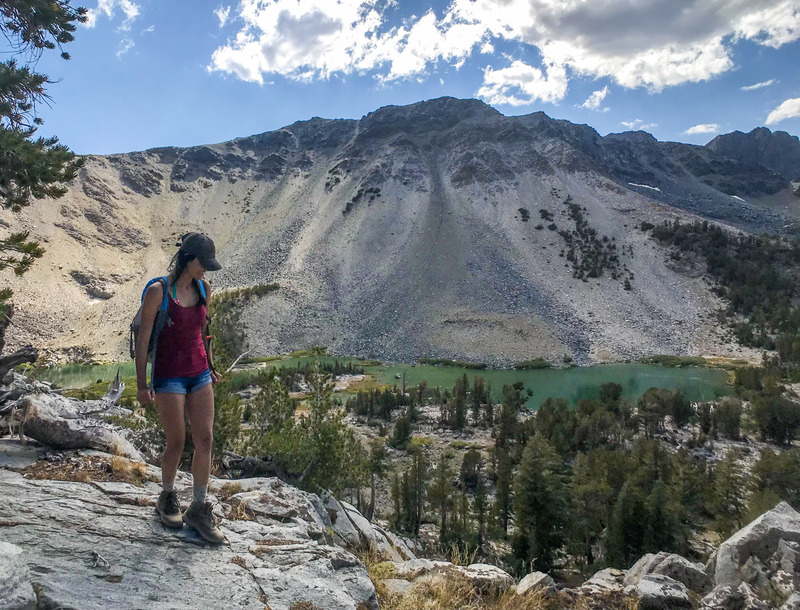 Duck Pass is not as bad as it looks from Barney Lake; steep, but not too long and is consisted of many rocky switchbacks. Make sure to stop and take in the views, for they are well worth the climb. 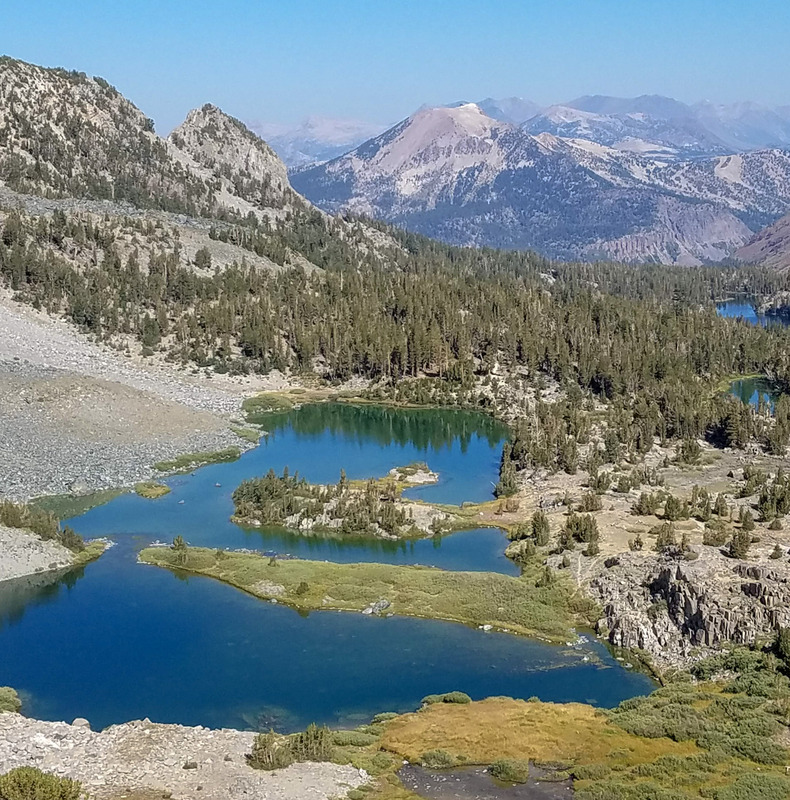 Immediately, you’ll be able to spot Barney Lake from up above and if you’re lucky you can even spot Skeleton and Arrowhead Lake. 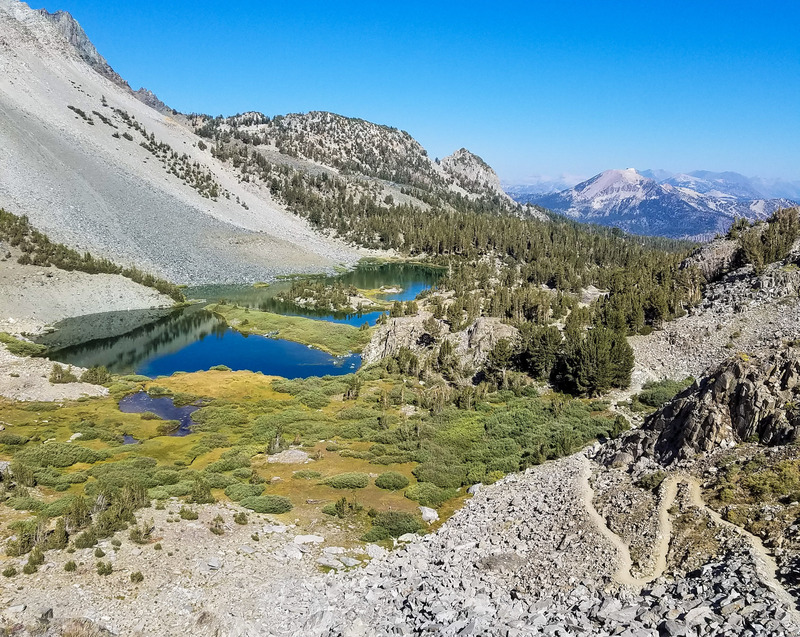 From Barney Lake to the top of the pass is about one mile and once you’ve reached the top, you will know because you are greeted with a huge view of Duck Lake from up above. We stayed awhile, taking in the views and catching our breath. 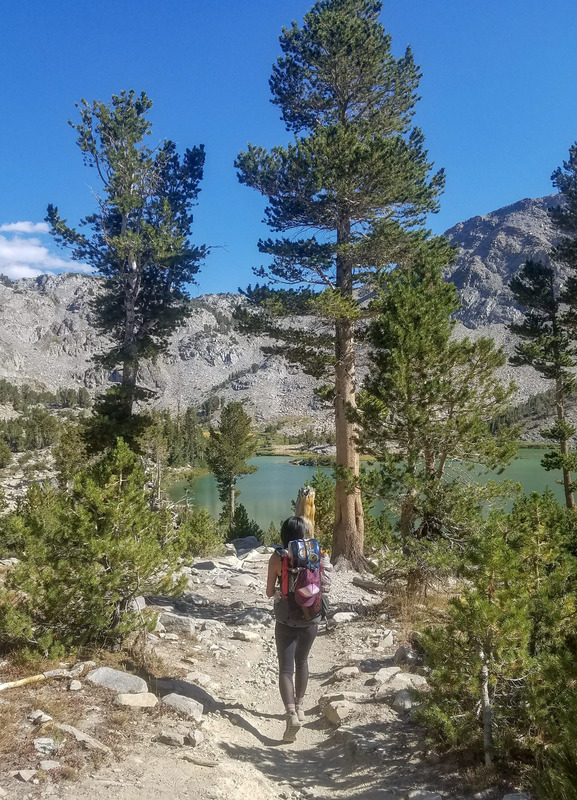 There were not too many people on the trail from what I remember, as we made our way down to Pika Lake. Pika Lake from Duck Lake is a little over a mile long and pretty well maintained. 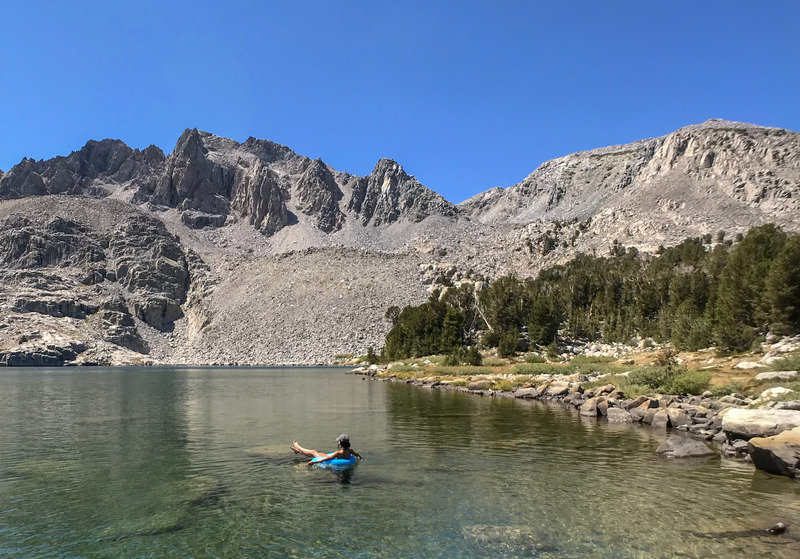 We planned to hang out at the lakes for a couple of hours before heading back to camp to pack up and head out. After a quick snack, we changed into our bikinis and blew up the floatie. So glad that it was a nice sunny day, as it made for getting into the lake a little easier. On our way back to camp, Duck Lake was looking mighty fine and very welcoming. 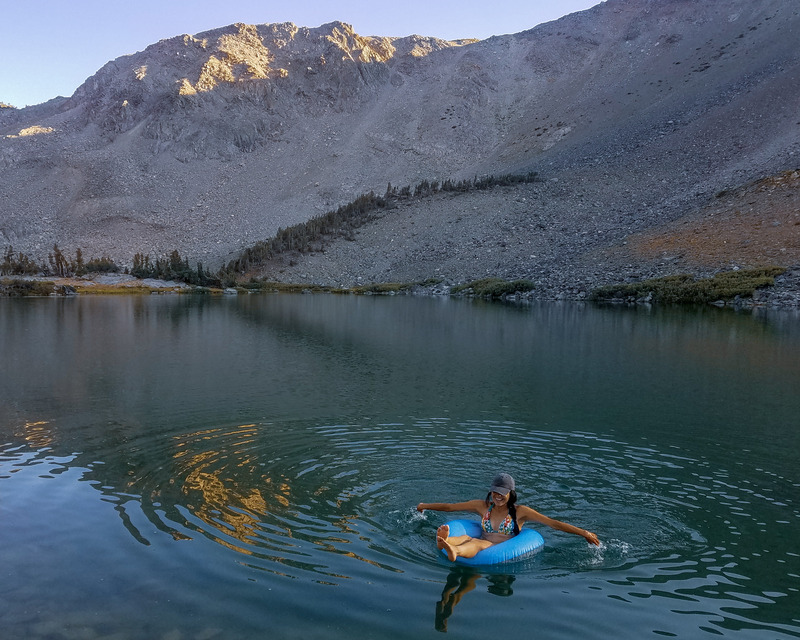 Even though we had just floated around at Pika Lake, I wanted to experience a float at Duck Lake too for the water was crystal clear! 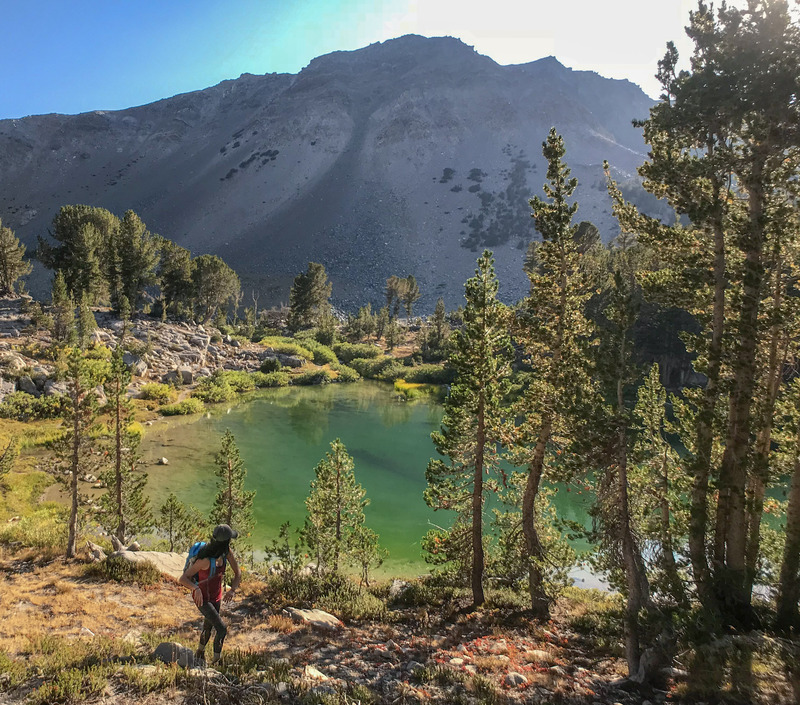 The hike back to camp was a lot easier than the hike to Duck Lake and we arrived earlier than we thought we would, so instead we did scrambled around looking for a view of the lakes from up above. 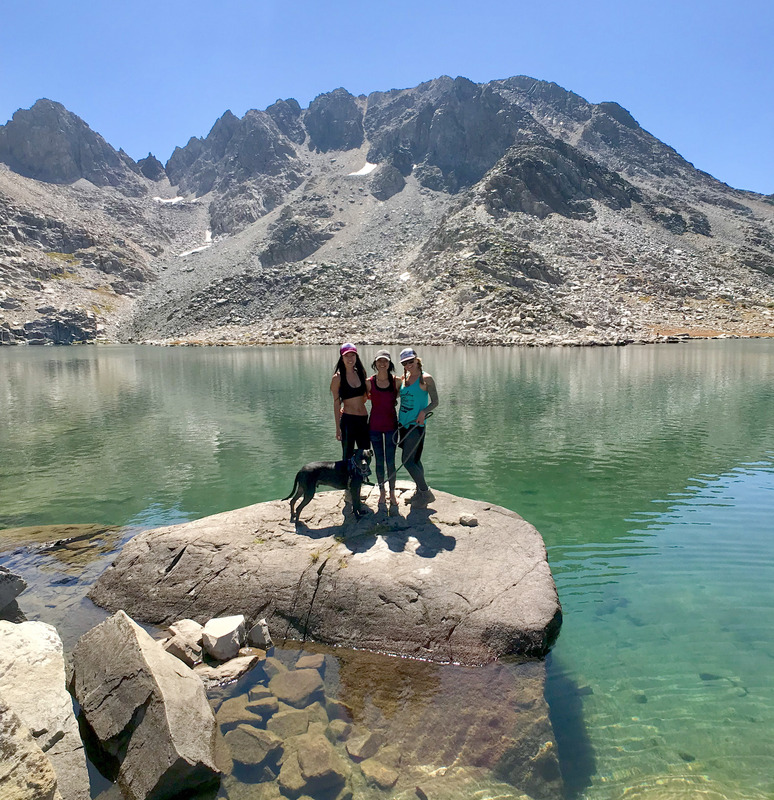 Not quite the view we were going for, but we did stumble upon a pretty neat view of Barney and surrounding lakes.